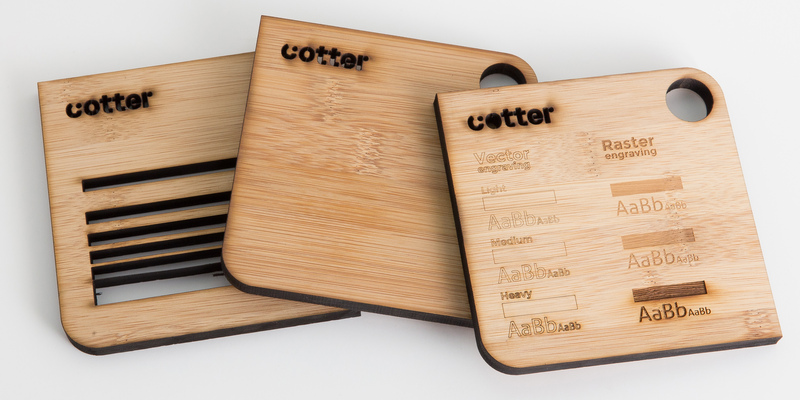 Bamboo is often used at creative projects, such as table tops, shelves, boxes, letters etc. 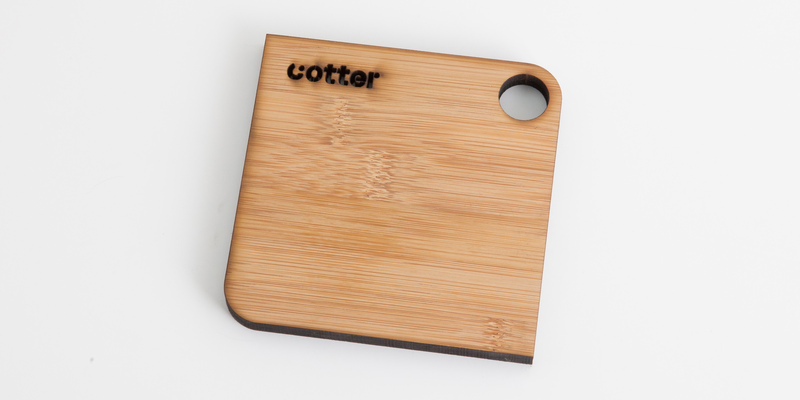 Bamboo is often used for creative projects like letters, table tops, shelves, boxes etc. 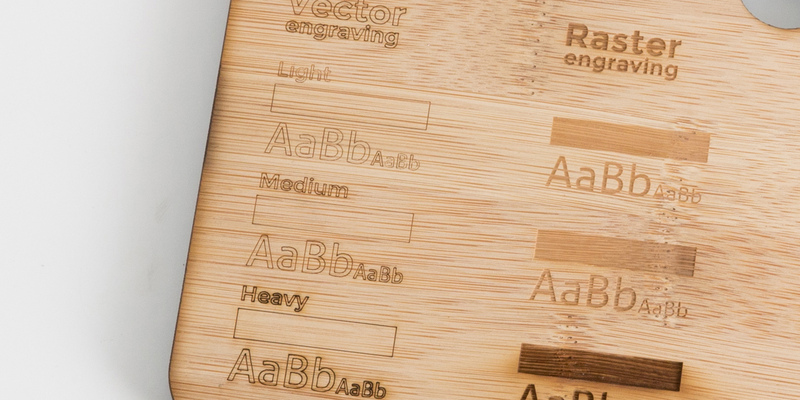 Small details are not suitable for bamboo as the material is easily burnt away by the laser. In some places, the laser might not cut all the way through the material because of the glue that is used. You can carefully push the items out. 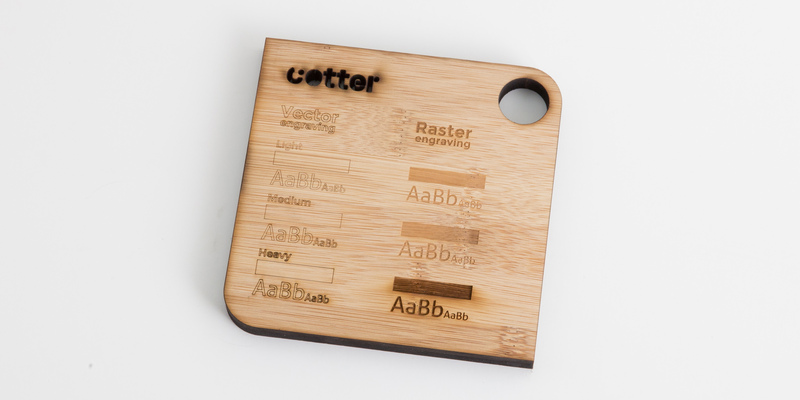 Both vector and raster engraving are possible on bamboo. The material gains a darker colour in the engraved areas. The thicker the engraving, the darker the colour. At the time of your order, you can choose to add protective film to avoid the worst marks caused by smoke damage and the cutting process. However, this is not possible when raster engraving. 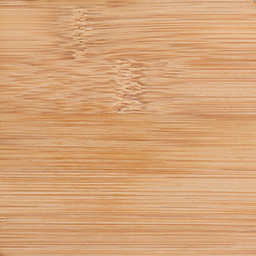 Top – A slight darkening of the wood will appear along the score lines. This can be removed by light sanding. Alternatively, at the time of your order you can choose to add a protective film to avoid the worst burn marks. Edges– The edges look brownish and can rub off. This can be removed by wiping with a cloth or lightly sanding. 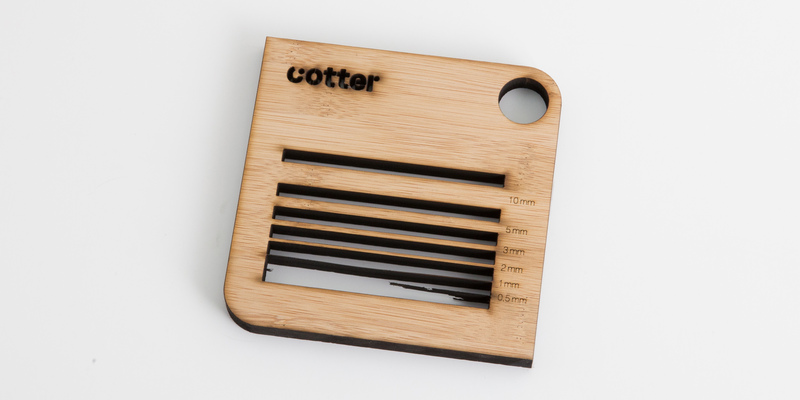 Bottom – There will be a certain amount of smoke and marking along the score line, depending on the raster on which the material is cut. Alternatively, at the time of your order you can choose to add a protective film to avoid the worst burn marks. Bamboo can be treated with oil to give it a nice glow. Or lacquered to give it extra strength.